This is a map of Aston in 1905. It's taken from a map of the watershed of Ulley Reservoir by Rotherham council. Which is why there's such an emphasis on brooks (in blue, they flow to Ulley reservoir mostly) and the green line denotes the watershed boundary. The red dots are 'pollution points'. Aston has grown in size enormously in the last century. 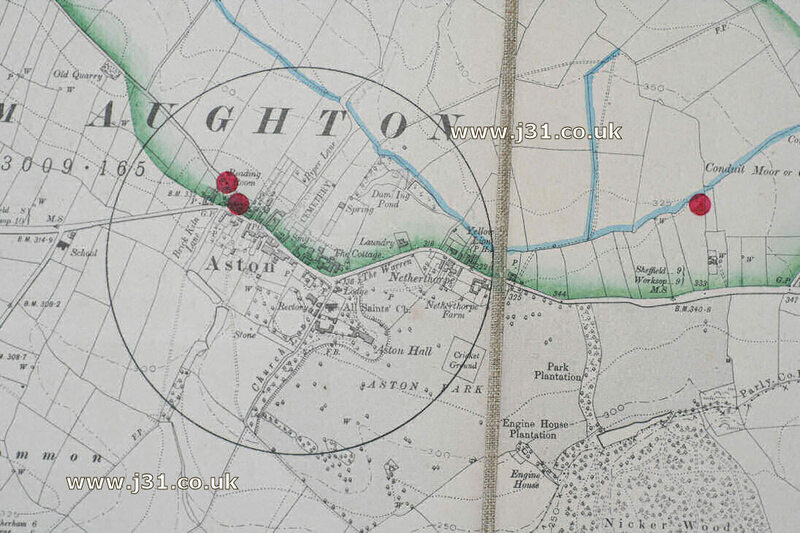 Shown in this map is All Saints church, Aston Hall, the Yellow Lion pub, cricket club, etc. but the huge housing estate around 'The Chase' etc. are 50 or 60 years in the future of this map.